John Moreland will be performing at Ignition Garage on Wednesday. Photo contributed by Lindsey Thompson. 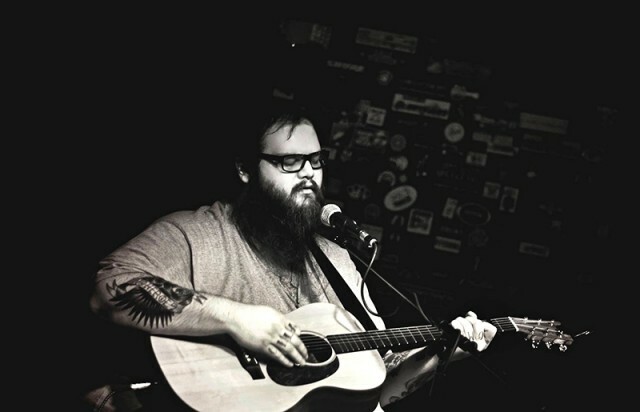 John Moreland, a 30-year-old singer-songwriter from Tulsa, Oklahoma, will be playing his soulful, resonant country ballads at Ignition Garage next Wednesday, November 18. Moreland has been touted as a revivalist of country music and a true lyricist by NPR, New York Times, and the Wall Street Journal, just to name a few of his accolades. Moreland began playing music at just 10 years old, picking up his father’s old guitar and writing songs as he taught himself how to play. Moreland did make friends in his home in Tulsa, the entire group rooted in punk and alternative rock music. This forceful style still resonates with Moreland today, influencing his music in sometimes obvious and sometimes subtle ways. That evolution has not caused Moreland to lose his love of punk, as he and his tour manager still listen to Red City Radio when on the road for tours, but now that style is mixed in with Tom Petty, Neil Young and 90s country. This eclectic listening taste influences the music Moreland writes, but in listening to his albums, it’s the lyrics that really hit hard. Moreland’s latest album, “High on Tulsa Heat,” highlights his grainy, powerful baritone. The lyrics weave in and out of intimate sadness and harmony, creating music that affects the listener in creative ways. With such poignant lyrics, Moreland has been asked a lot about sadness that he has experienced and where these deeply emotional songs come from. Moreland is quick to say that he is normal and well-adjusted, he just has the unique ability to write down some of the vivid moments of life and put a voice to them. Moreland has been gaining popularity with the release of his new album, opening for many bands recently in larger venues but also playing in smaller towns, as well. Tickets are available to see Moreland next week through Ignition Garage.